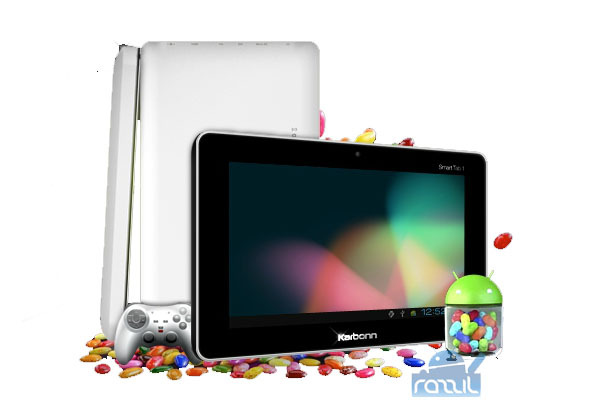 Karbonn has launched upgraded version of Smart Tab 1 in India with the latest Android 4.1 Jelly Bean OS. The Smart Tab 1 has 1.2 GHz Processor, 7-inch capacitive touchscreen, 2 MP Front facing Camera and 3700 mAh Battery. It also has HDMI option, Wi-Fi and 3G Support through USB Dongle. The tablet support micro SD card slot for storage of up to 32 GB. The 3700 mAh Battery delivers upto 7 hours of Internet Surfing Time, 8 Hours of Video Playback time and 25 hours of music playback time (both on earphones). The tablet also support 3D G-Sensor for better gaming experience. 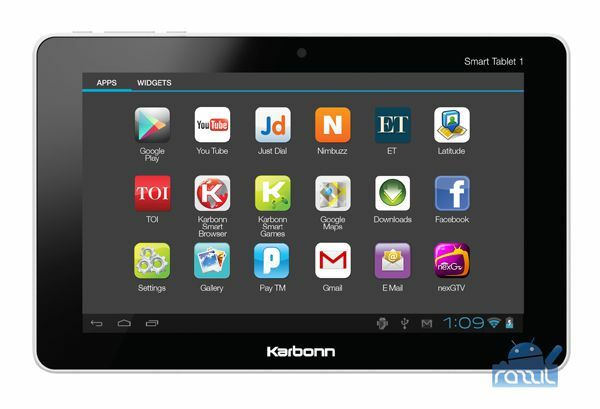 Karbonn Smart Tab 1 comes with pre-embedded applications such as the Karbonn Smart Browser and Karbonn Smart games, local apps including the Times of India and Economic Times app, Facebook and much more. India’s first Android 4.1 Jelly Bean powered tablet cost you around Rs. 6,990 and booking open for consumers.